grapes give freshness while Côte d'Or and Chalonnais give the wine structure. Characteristics : The wine will have the fruitiness and freshness of the stainless steel tanks vinification as well as the structure and roundness of the oak barrel vinification. Wine making : One part of the cuvée is vinified and aged in oak barrels whilst the other part is vinified and aged in stainless steel tanks. Winemaker's comments / Gastronomy : This wine is very fruity (peach, pear and grapefruit), developing white flower aromas as well a slight vanilla touch. With a lot of elegance, it is structured, pleasant and harmonious. 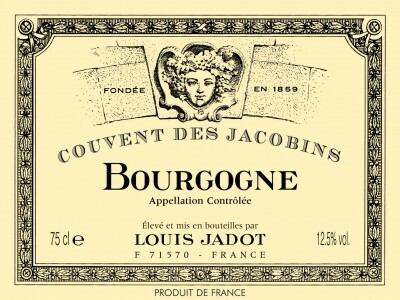 Bourgogne Chardonnay will be perfect with "hors d'oeuvres", white meats, poultry, sea fruits, grilled fish and goat cheese. It is best served chilled (10/12°C). After several years, more sophisticated aromas will develop and it will go well with more elaborated dishes. Preservation : This wine can be kept 5 years or more, depending on the vintage and conditions of storage.